The home of architectural drawing services for both residential and commercial properties throughout London and the South East. 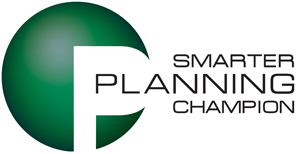 We are proud to be a Smarter Planning Champion. We specialise in the preparation and submission of technical/architectural drawings required for planning and building regulation applications for house extensions; alterations and conversions; loft conversions; garage conversions; outbuildings conversions; flat conversions and many more. We work tirelessly to provide you with a professional service whose aim is to assist you in seeking approval for your development at a competitive cost. We offer a free initial site visit and consultation to discuss with you your thoughts and ideas and how we may be able to assist you in reaching your goal. Our services and competitive rates can include all the requirements ranging from design and submission of your planning application; through to full project management of your development through to completion.